Putting a saccharine spin on melodic rap music, Huntington Beach, CA’s Yung Pinch is one of the genre’s rising stars. 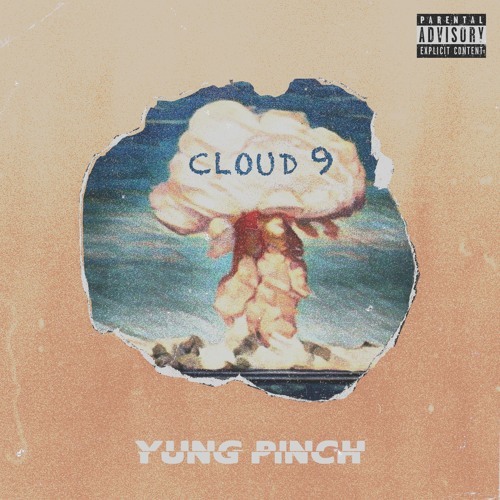 Sharing an atmospheric, yet hard-hitting new song, Yung Pinch lights up the sky with “Cloud 9,” his latest single. Croaking an infectious auto-tuned melody, Pinch revels in his status as a hungry up-and-comer, bragging about his ends and reflecting on his work ethic’s role in his success. Shared to Pinch’s SoundCloud as part of his weekly #4EVERFRIDAY series of singles, “Cloud 9” has racked up 61k SoundCloud streams in the past three days. “Cloud 9” builds on the momentum from 4EVERHEARTBROKE3, released this past Valentine’s Day, a 4-track project full of lustful yet introspective lines atop ethereal instrumentals. “Cloud 9” is the latest in a series of standout loose singles from the “Bluntington Beach” native, including “Sail Away,” the wavy HYPEBEAST-premiered video, “Smoke & Drive,” which features appearances from fellow Cali hitmakers blackbear and P-Lo, and the YG-featuring “Big Checks.”Accumulating millions of streams since the drop of his 2017 #FREEYUNGPINCH EP, including over 10 million Spotify plays on “When I Was Yung,” a mainstay on the service’s Clout Culture playlist, Yung Pinch is building an unstoppable momentum as he hurdles towards his next project, sure to be his biggest yet. 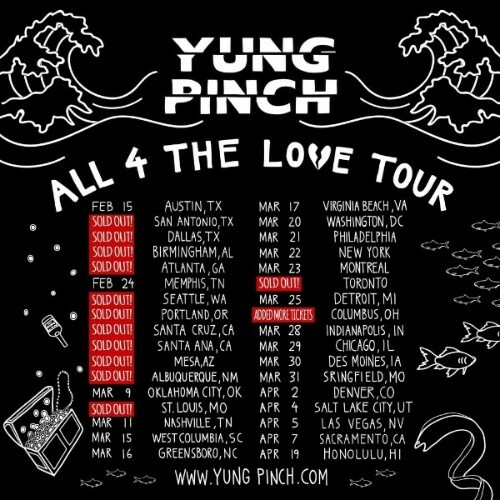 Catch Yung Pinch on his headlining All 4 The Love Tour, while tickets are still available. The tour already sold out 13 dates, including in far-from-home locales such as Dallas, Atlanta, Birmingham, and Toronto. Last week, Yung Pinch lit up SXSW, performing at showcases for SoundCloud, Zaytoven, and others. Please contact Michelle or Dharmic if interested in talking with Yung Pinch.